The year 1988 was an important one for me as an indie-pop fan. It was the year I wholeheartedly dove into the catalogs of Creation Records and Sarah Records, and other U.K. labels. And that task of deciphering the English indie landscape was made easier since the used record store I worked at in College Park, Maryland, had a bookcase full of back-issues of NME and Melody Maker. I devoured those, bought my first CD player near March of 1988, and then fell into a pattern of heading into the city at least once a week to buy some import CDs at Olsson's in Georgetown and Tower Records near George Washington University. And I entered that universe of sound at a good time: it was right after the wave of C86 bands had gotten moving, and right before the genres of shoegaze and grunge, soon to dominate things, would even have names. If acid house seemed to be ruling over the U.K. music world, there remained a remarkably diverse indie scene bubbling up just under that, as shown on the superb new C88 box-set from Cherry Red Records. Collected here are 71 tracks on 3 CDs that offer up a nearly 4-hour soundtrack to one, partially-overlooked year in U.K. music. Sandwiched between such important milestones and rising genres as I've mentioned above, 1988 was, as we can hear here, a really special year, one that saw a flourishing of a wild diversity within the indie genre. That so much was produced in such a short time in England is really striking now. Disc 1 opens with "On Tape" from The Pooh Sticks, all self-awareness made funny, before The Stone Roses appear, "Elephant Stone (7-inch Version)" offering up a taste of the seismic change that was gonna happen just one year later in 1989. Elsewhere, the superb "High" from Choo Choo Train reveals a melding of indie with the sort of crunchy riffs prevalent in the power-pop world, while "Colours And Shapes (demo)" by Pale Saints provides an early glimpse of the psuedo-shoegaze wave that was encroaching then even upon the dream-pop of the 4AD universe. And, significantly, the jangle-y C86 stuff we imagine being nearly ubiquitous in 1986 and 1987 has here been nearly replaced; the Byrdsian guitar hooks of one generation a year earlier have been supplanted by the complex Smiths-like (and Morrissey-endorsed) emotional music of Bradford ("Tattered, Tangled and Torn"), or the fuzzy, neo-garage rock of stuff like "Anorak City" by Another Sunny Day. The jangles heard on sides from the Creation and Sarah labels are represented here for sure, but there's far more crunch and complexity around than the single strum one would expect of bands in the wake of the C86 revolution. Admirably, Disc 2 opens with a real rarity from The House Of Love. 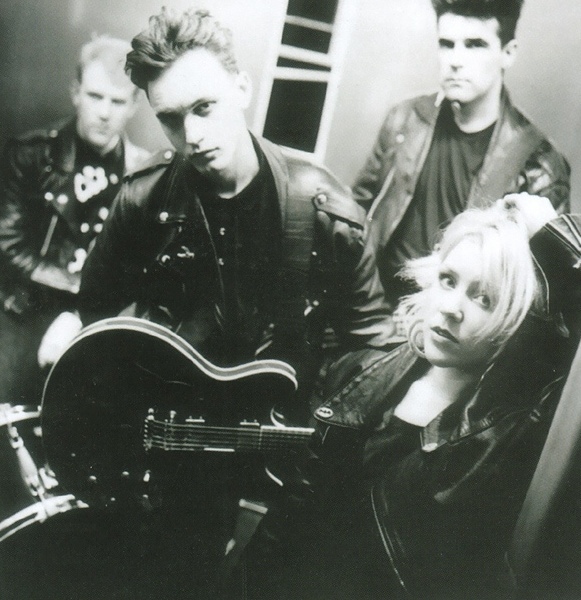 "The Hill" features Andrea Heukamp on vocals and the track sounds a bit more like The Darling Buds (pictured up above) than it does Echo and the Bunnymen or any of the other usual reference points critics used when describing the music of this Guy Chadwick-fronted act. Of course, 1988 would see the release of the first album from this lot on Creation Records and it signaled the kind of indie that was really gaining a near-foothold with mainstream listeners, and the first great crossover from that label to the mainstream, pre-Oasis. 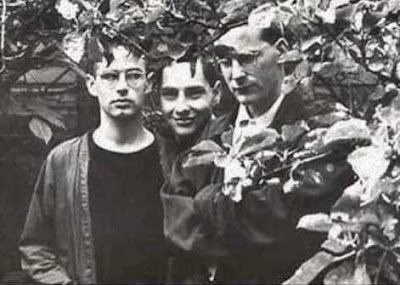 Oddly, "Prize" by Kitchens of Distinction (pictured below) sounds more like the sort of guitar-based music that passed for indie right before C86 leveled the landscape. If the Kitchens tune is beautiful and a tiny bit precious, the brash "Slack Time" from Cud is a blast of unhinged nonsense. Loud and rude, it is as far removed from lots of U.K. indie circa 1988 as one can imagine. Elsewhere, "What's Going Down" by The Shamen brings a rougher edge to things, a faint hint of what bands like Pop Would Eat Itself were also doing elsewhere at this time, while "Theme From Cow" from a young Inspiral Carpets signals a garage-y undercurrent within the scene that would soon see bands like this caught up in the baggy revolution. Of course, "Shame On You" from The Darling Buds and "Heaven Knows" by The Flatmates remain pretty darn good examples of why this era rewards both nostalgic listeners, as well as anyone wanting to hear the best examples of U.K. indie in its most formative, and fertile, period. If 1988 was a magical 12 months caught between the rise of the peak years of a few other genres, it was also one calendar year full of really great music as this C88 set shows. Disc 3 here features a few of the more obscure acts from this era, including The Siddeleys (pictured up above), represented by the wonderfully-titled "Sunshine Thuggery", all jittery fuzz-pop done right, and Creation mainstays The Revolving Paint Dream, whose demo version of "Sun, Sea, Sand" opens this final CD of the set with the right mixture of emotion and pop sense that the best bands from this era seemed to master with ease. "Anywhere But Home" from The Caretaker Race brings a sound to this set that's very nearly the equal of early Go-Betweens stuff, or a Servants single, while the fun "The Camera Loves Me" by Would-Be-Goods charms again, a souvenir of a time when twee stuff like this didn't seem too precious. 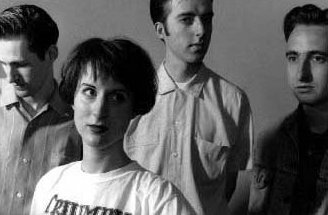 Elsewhere, the shuffling "Shake" by The Corn Dollies charms with a James-like shuffle, while "Crush The Flowers (demo)" by The Wake blends the worlds of guitar-based indie with the keyboard-heavy tail-end of the first wave of New Wave acts. But if it's jangle-pop you're after with C88, it's stuff like "Cubans In The Bluefields" by East Village that will reward you. The track, a clear highlight of Disc 3, is such a gem that one wants to run out and get everything this act produced, maybe all over again. A remarkably well-done set, C88 compiles a year that lingers in my memory as a U.K. music fan stuck on this side of the Atlantic. Collecting such important acts from that brief window between C86 and Madchester, when grunge was barely a blip on the U.S. Pacific Coast, and shoegaze acts were pursuing a form less rigidly defined, C88 offers up a true treasure-trove of U.K. indie-pop, the kind that jangles and the kind that rocks. If the thought of another compilation covering this era fills you with dread, rest assured that this one was necessary. Containing far more variety than last year's excellent C87 compilation, this C88 box-set from Cherry Red Records chronicles a year in U.K. music history that provided a perfect showcase for the richness of the indie underground that, occasionally at least, influenced and impacted mainstream British airwaves. Listened to now, these 71 tracks make a case for a real sense of adventurism in an era full of sonic pioneers ready to plant the flags of genres like shoegaze firmly in place. 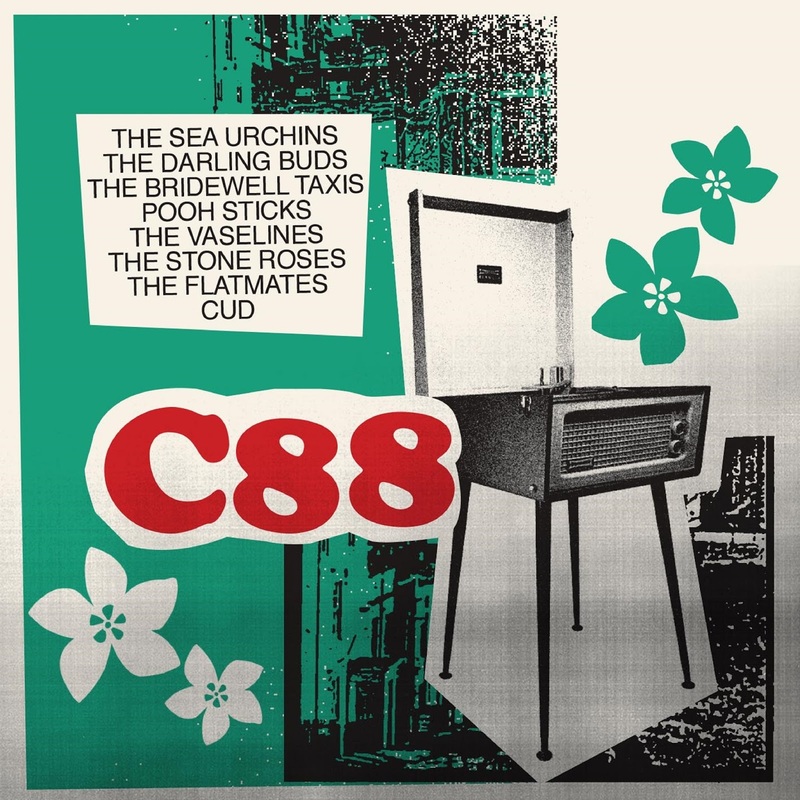 From a time when indie was a tiny bit less divided into mini-camps, C88 offers up 71 last gasps of a glorious, and gloriously adventurous, era of popular music. C88 is out now via Cherry Red Records.